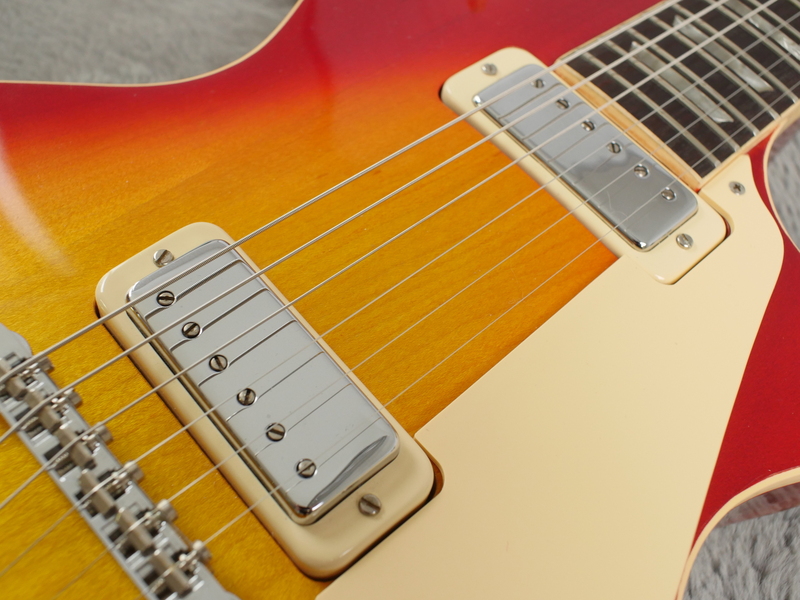 We pride ourselves here at ATB Guitars for seeking out the finest vintage guitars and sometimes we come across examples that defy our expectations. 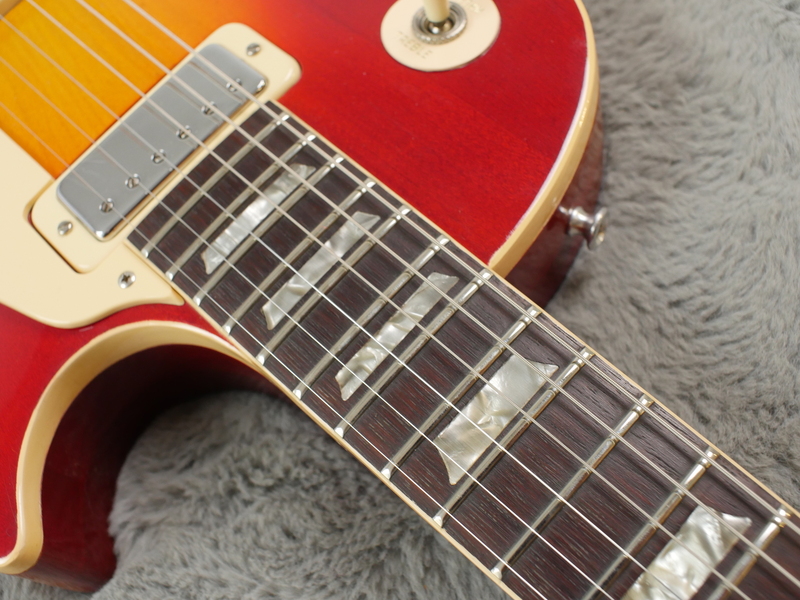 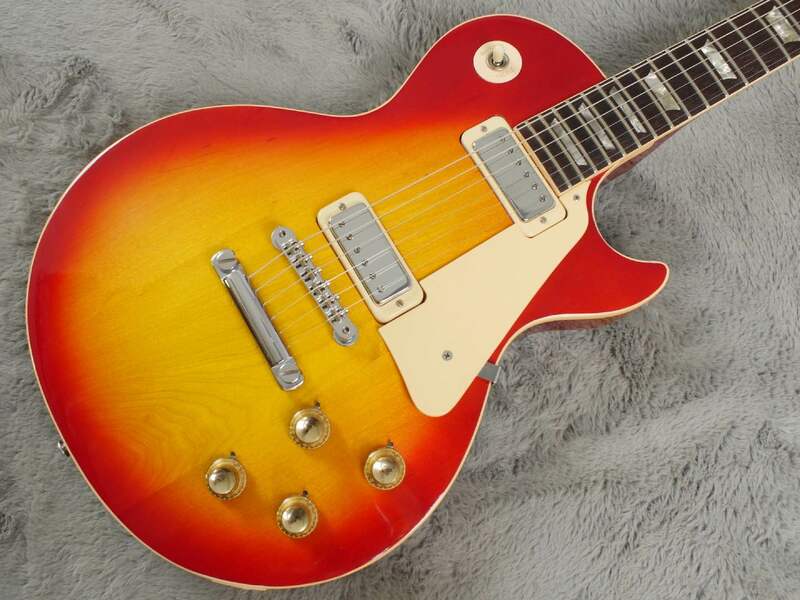 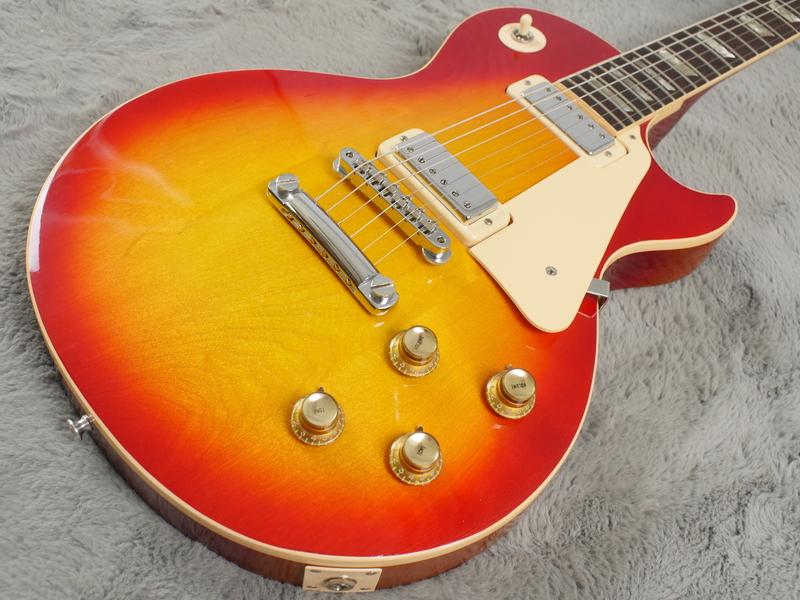 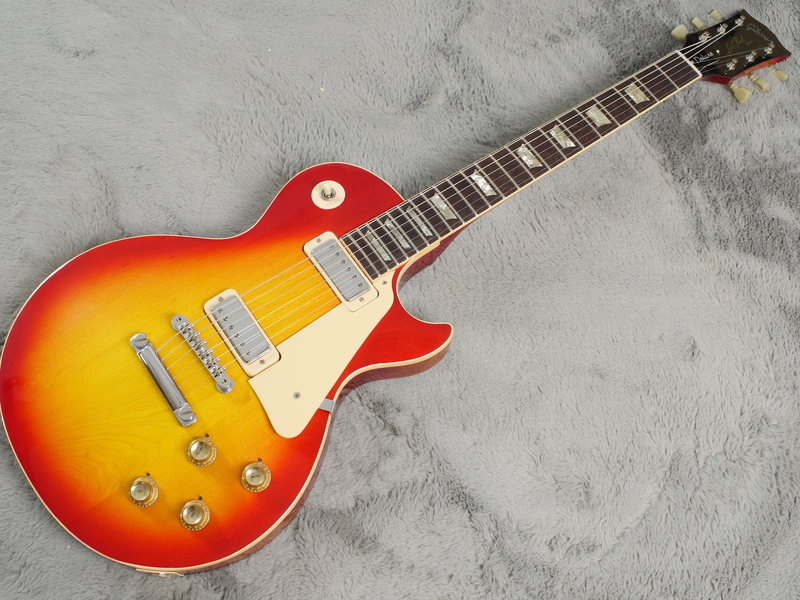 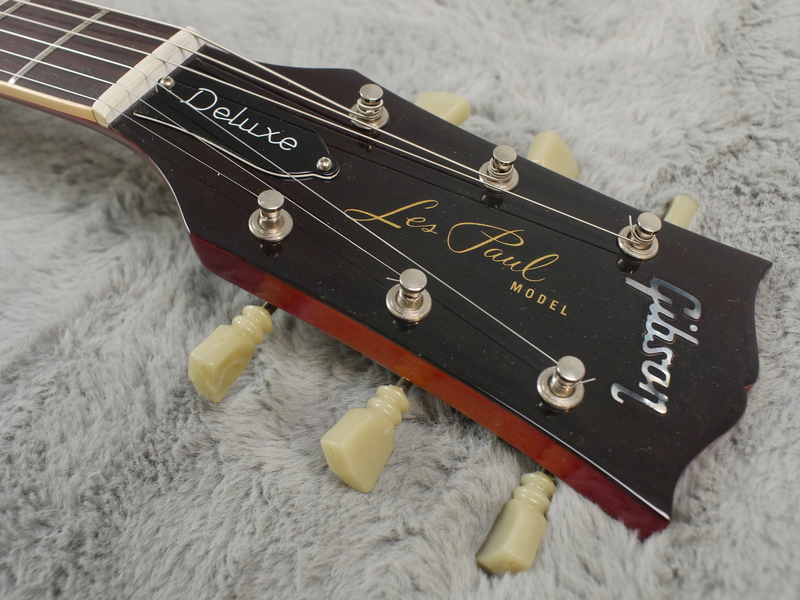 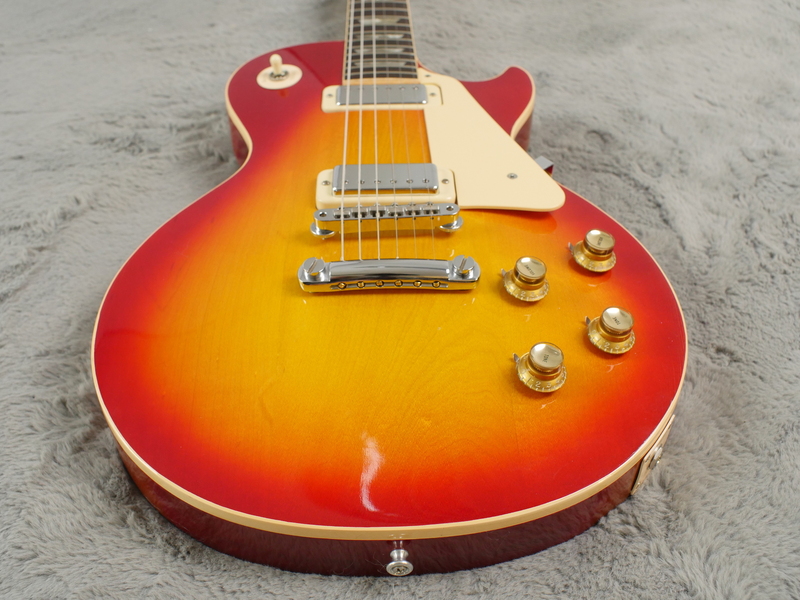 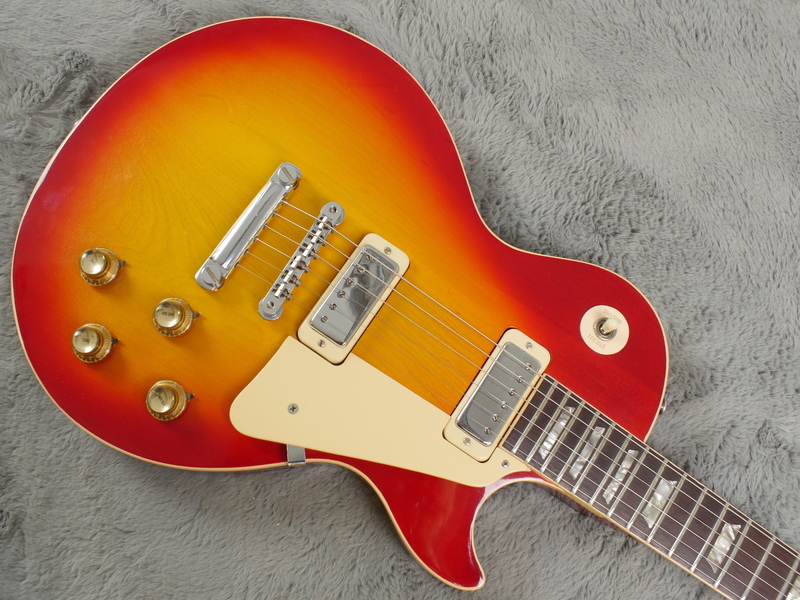 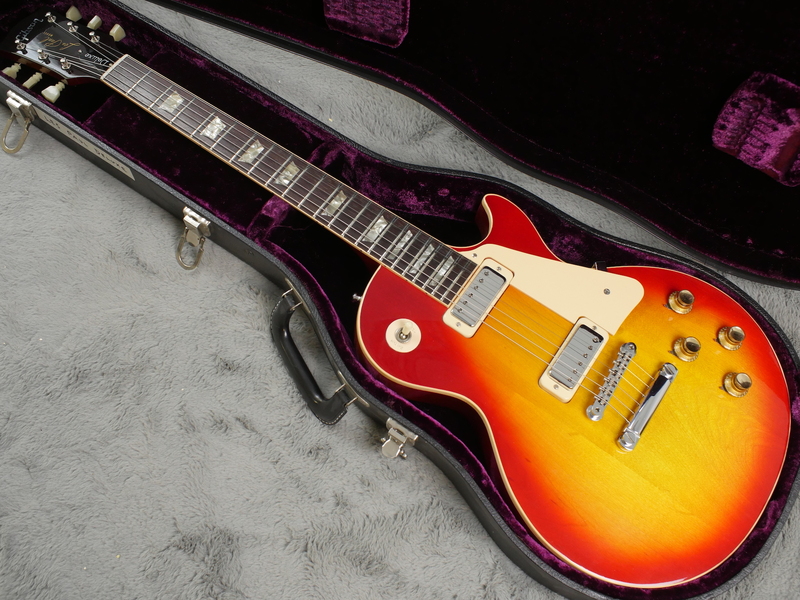 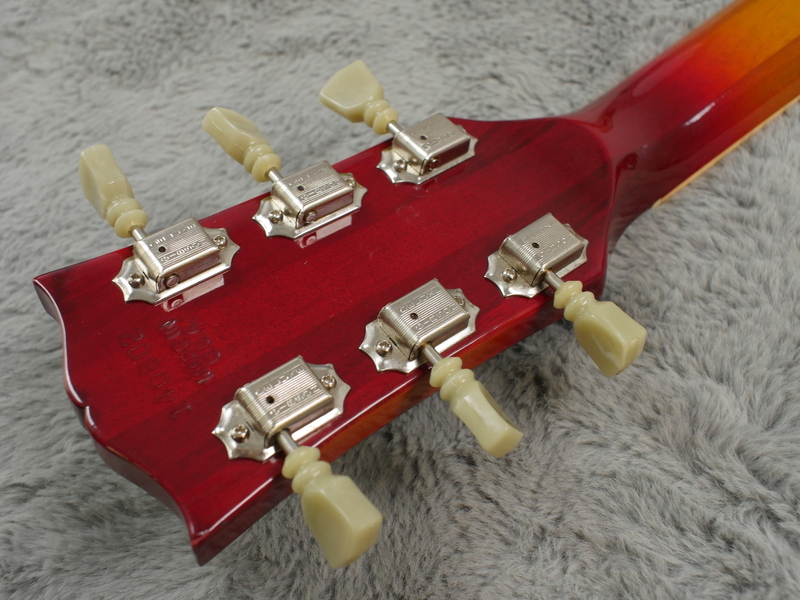 This 1973 Gibson Les Paul Deluxe is certainly one of those. 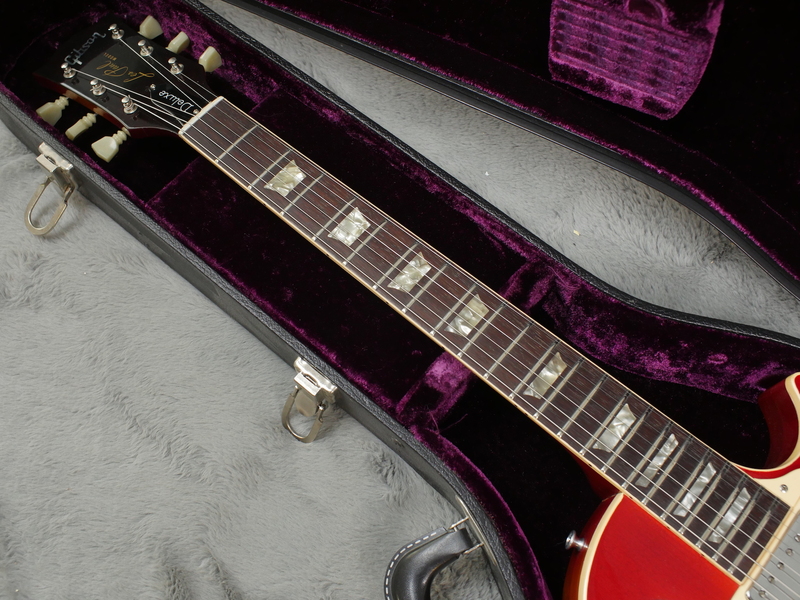 An often overlooked classic from the cusp of a difficult period for Gibson, the Les Paul Deluxe’s combination of mahogany body and twin mini humbuckers augmented the sonic palette of this classic instrument becoming the touchstone for 70’s tones of bands such as The Who and Thin Lizzy. 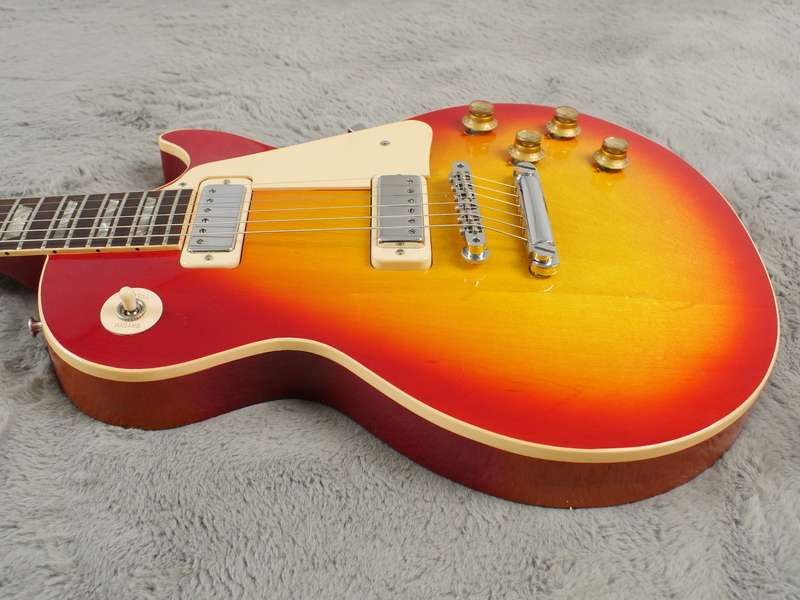 Its not often that these guitars escape some sort of modification or another as misguided owners try and ‘upgraded’ them. 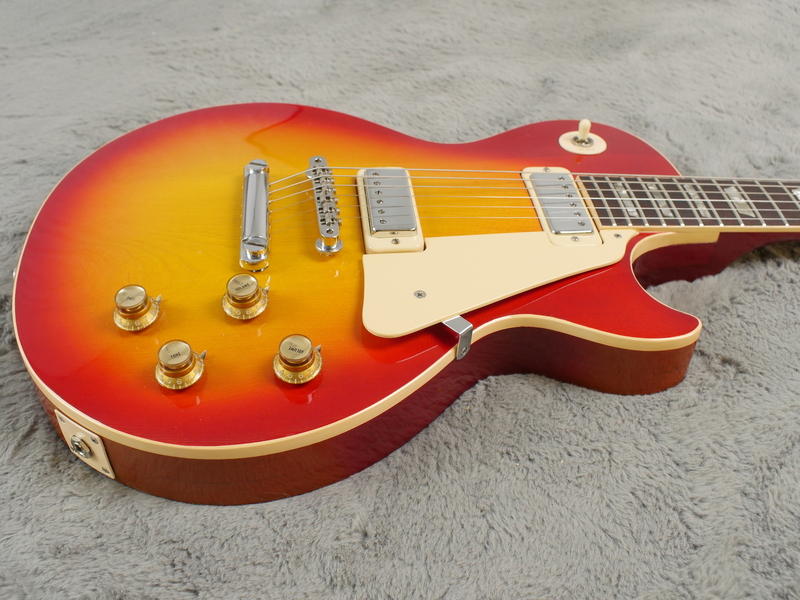 This example is stunning. 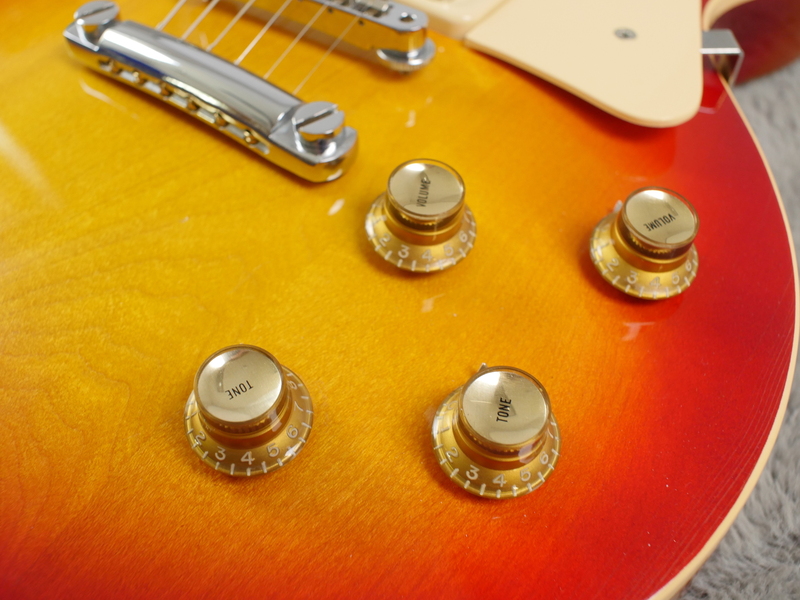 The high gloss finish is gorgeous and the sunburst on both the body and neck really shine through. 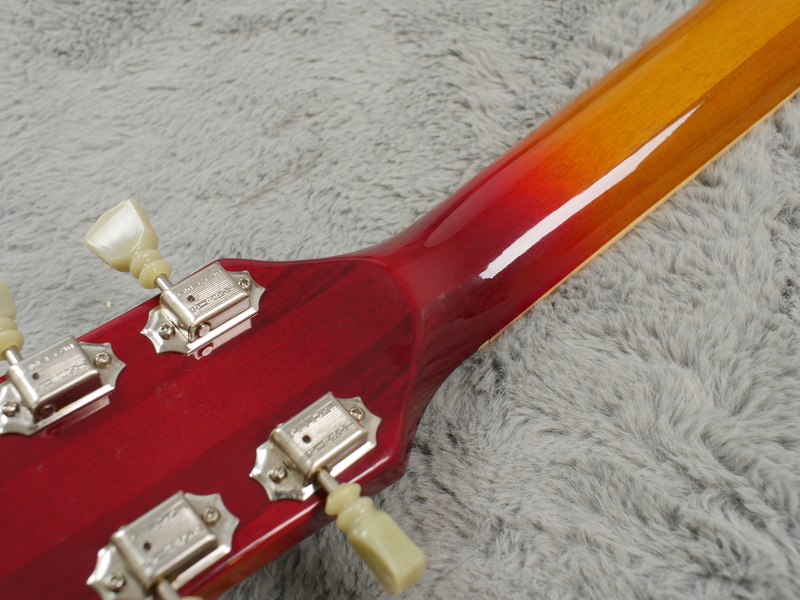 The whole guitar infact has an almost new feel. 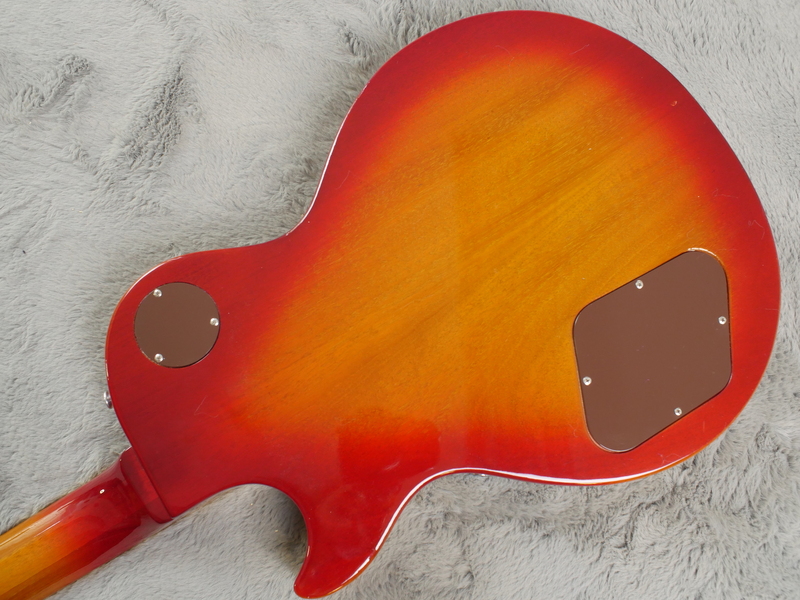 The back of the 2 piece ‘pancake’ body is free of any marks. 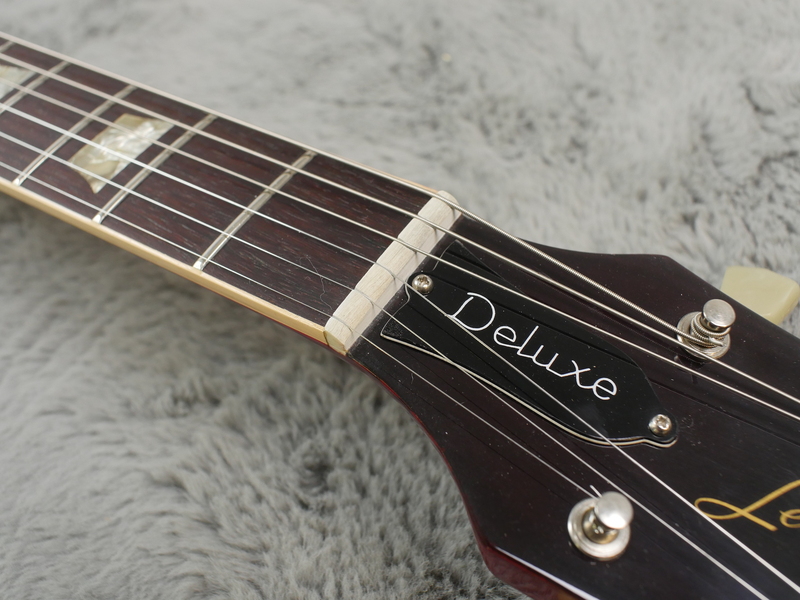 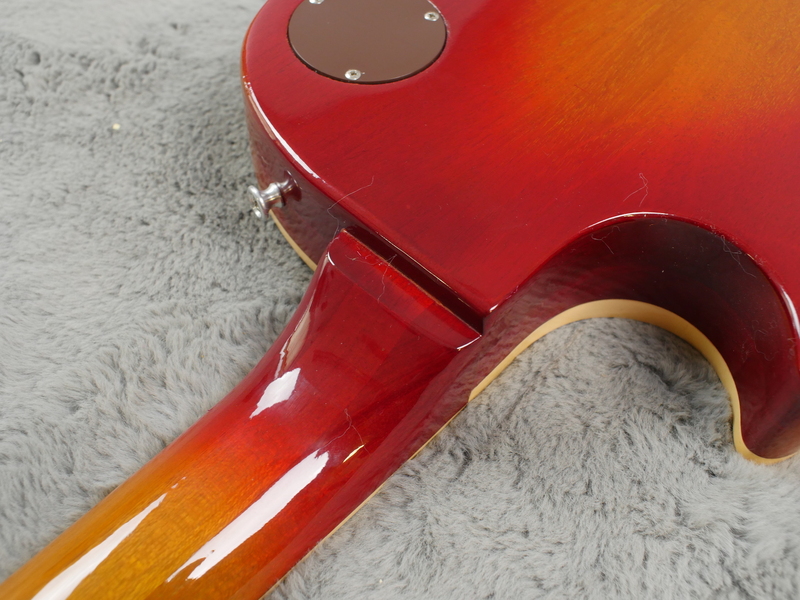 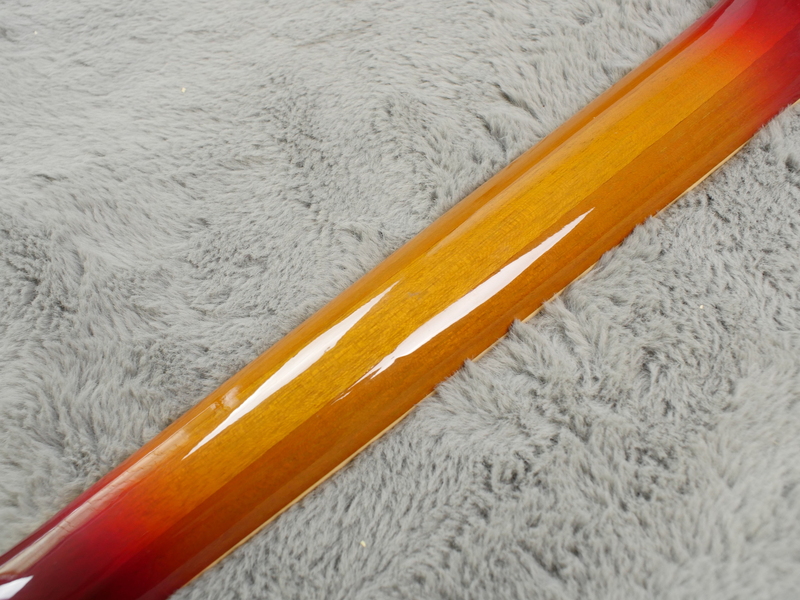 The three piece mahogany neck (soon to be changed to maple in later incarnations) is glossy and vibrant. 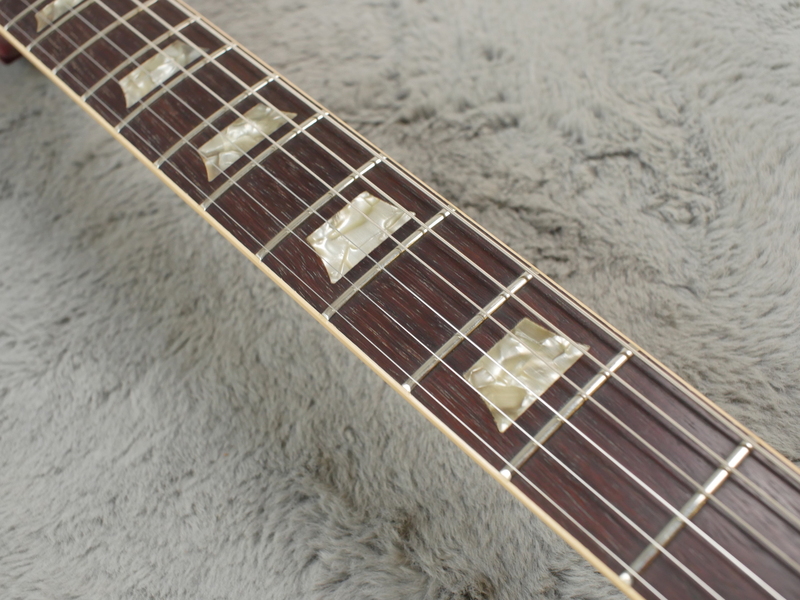 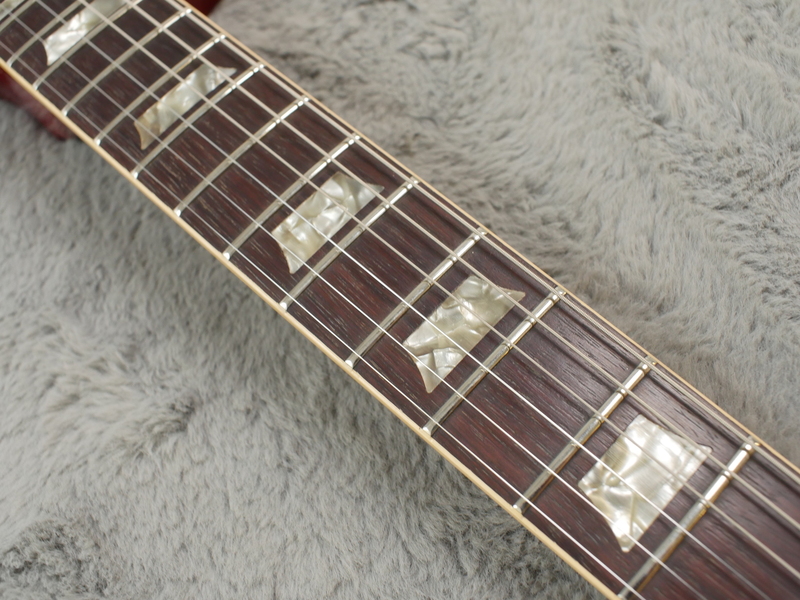 The fretboard and frets are crisp and shiny with no real any sign of use. 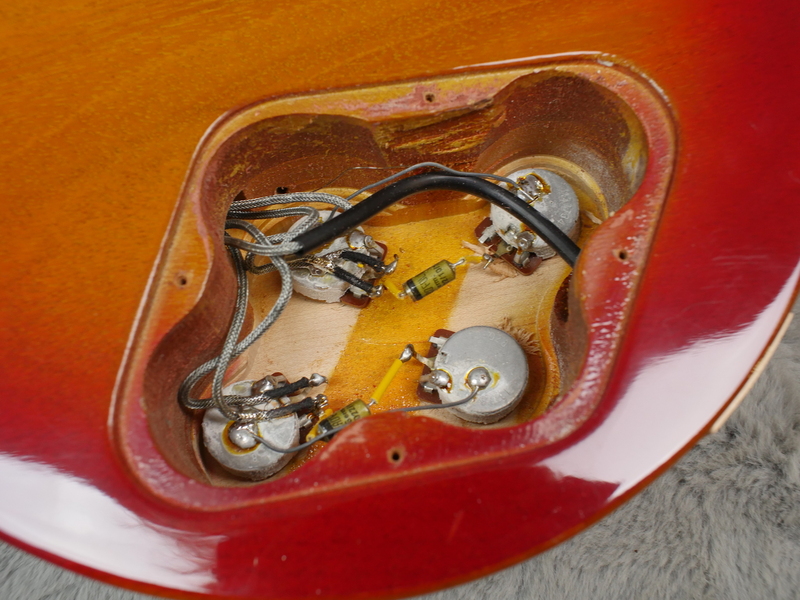 Electronically everything is correct here, pots dated 48th week of 1973. 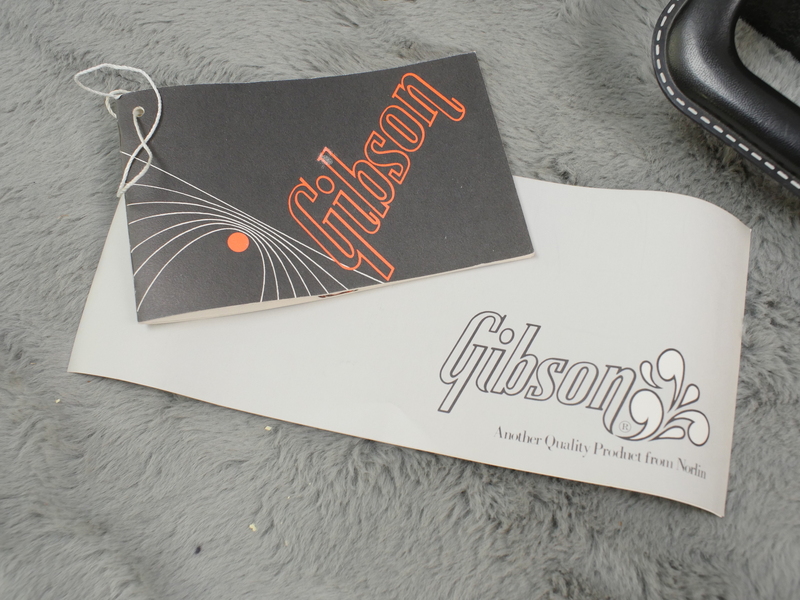 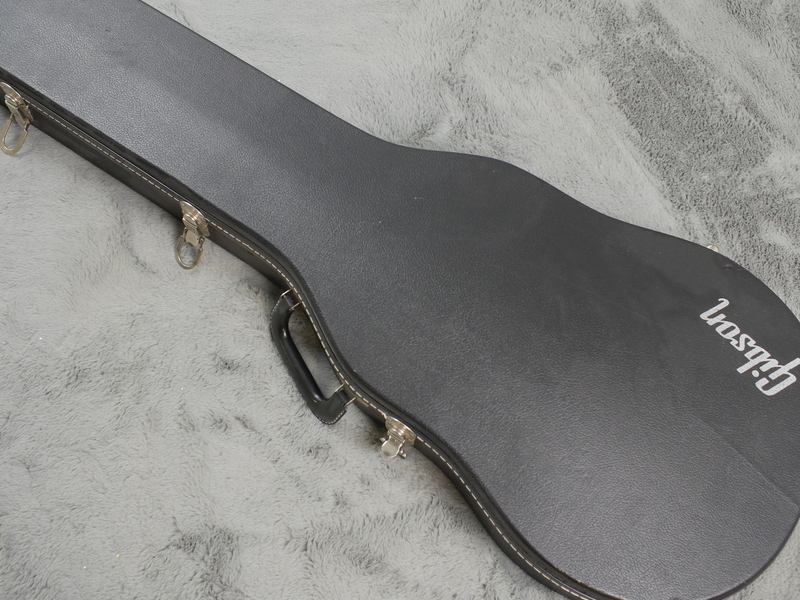 The guitar comes with its correct black Gibson case with purple velvet lining. 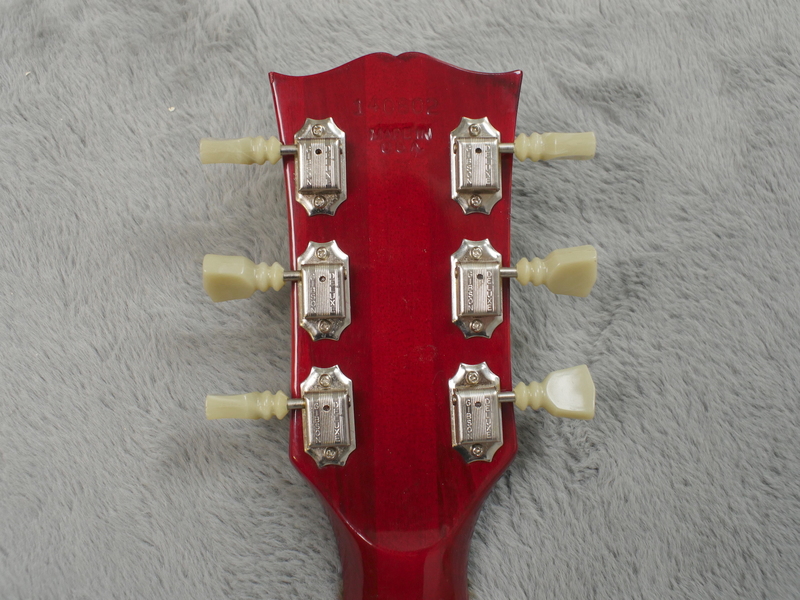 As you’d expect from these 70’s Gibsons, the weight can be an issue and we have actually had 1975 Deluxes tipping the scales at over 5Kg!! 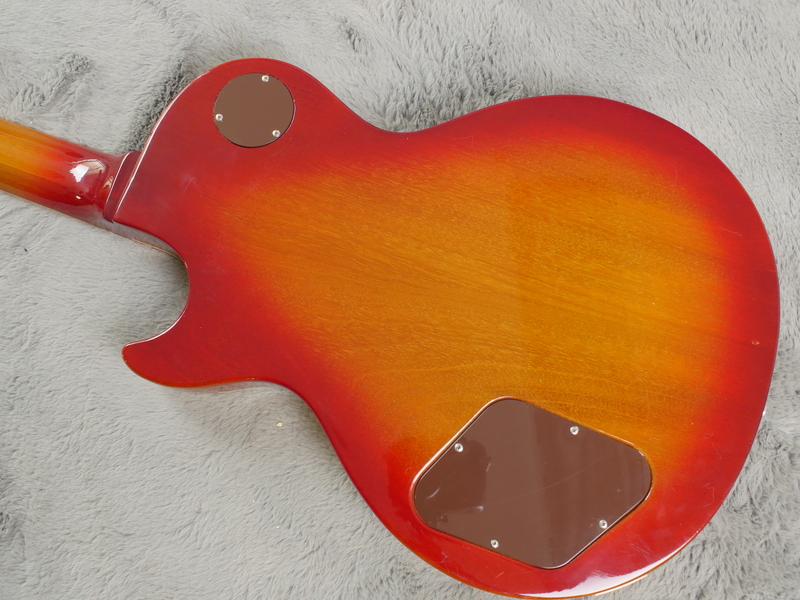 But here this is not too much of a problem weighing in at a comfortable 4.36Kg, sat down the guitar doesn’t down weigh on your leg and shouldering this should not be a problem either. 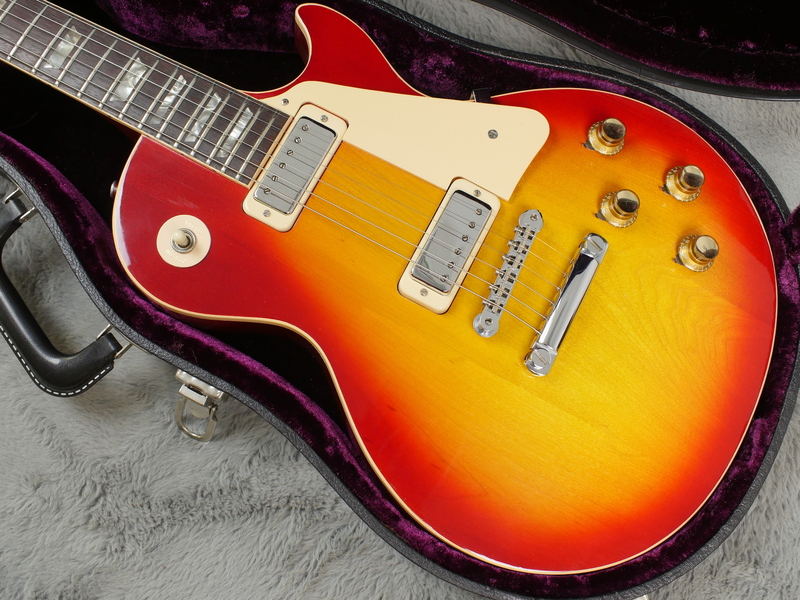 The unamplified tone has plenty of sustain, as you’d expect from a good Gibson. 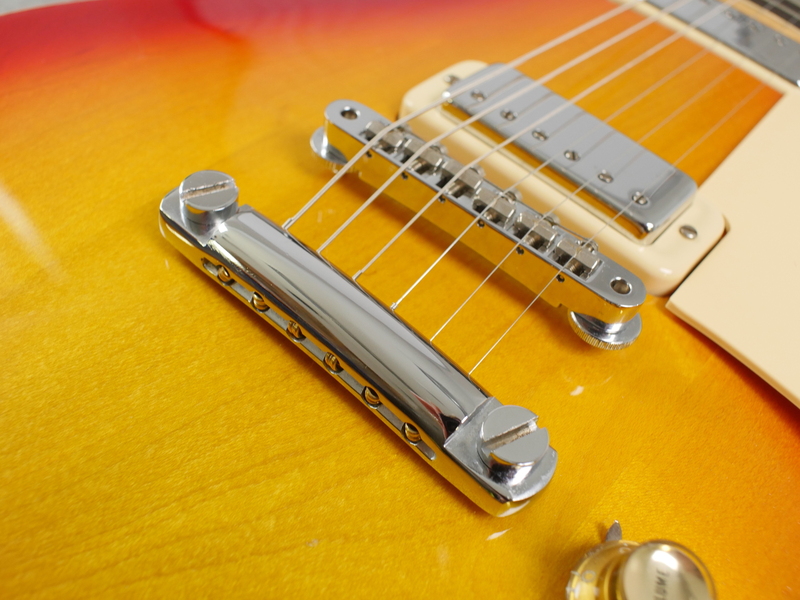 The mini humbuckers bring a brightness but retain low end without being as muddy as could be the case with full size humbuckers of the same period.